Design Build a system capable of treating 10gpm to meet current Navajo EPA and USEPA drinking water standards. 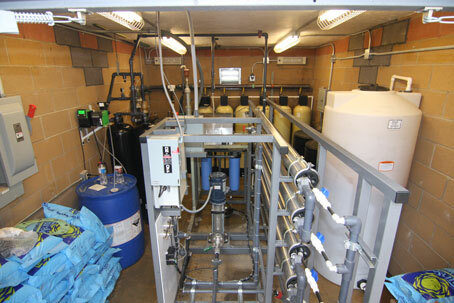 Installation of well controls, ion exchange tanks, flash heater, reverse osmosis unit, remineralization tanks, acid and chlorine injection pumps including equipment controllers. Installation of leech field for RO condensates.